It's a bit odd that Good Friday, Earth Day and Jelly Bean Day are all wrapped into one this year. No, none are related...I guess Good Friday and Earth Day could be correlated but Jelly Bean Day, not so much. First off, if you are in the Nashville area, I strongly encourage a visit to Cross Point Community Church. 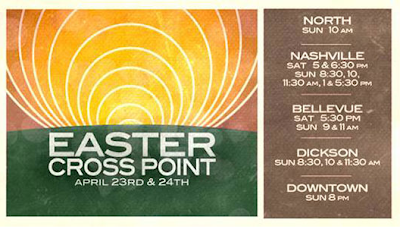 There are several campuses and several worship times to choose from. Sadly, I won't be here to enjoy it since I'll be spending time with family and reflecting on the true meaning of Easter with them. The Easter egg symbolizes new life for Christians during this time. We are dyeing eggs tonight so a fun post will be up soon after on the results of our eggs! Read more about the history of Easter eggs. Today also happens to be Earth Day. I went by Starbucks this morning, where they are giving away free coffee (and tea I believe) if you have a reusable mug. I have been trying to make more of an effort to use my reusable mugs and if I don't, to recycle my paper cups. 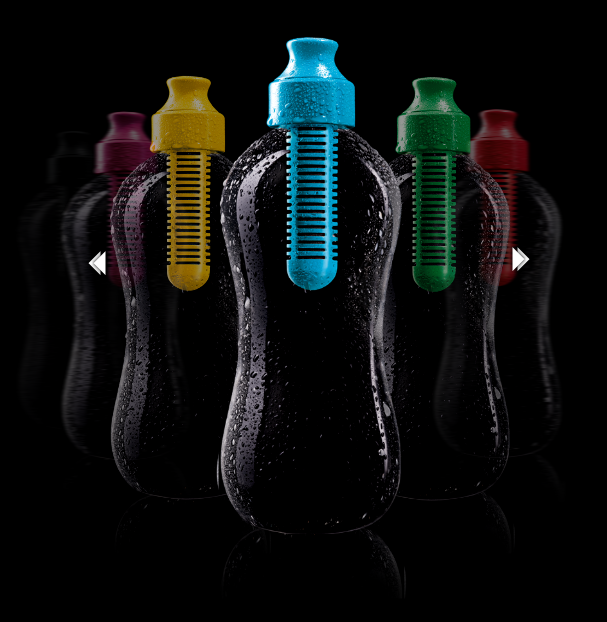 Throughout the day I also use a Water Bobble which has a filter so you can fill up your bottle with tap water as many times as you want while not contributing to plastic bottle waste. I recently left it behind on my way to work and couldn't stand not having it with me throughout the day! The colors are so fun as well. Filters need to be changed every two months, so you can go through the rainbow of colors in a year if you want (mine is currently red)! I've made a much bigger effort this year to recycle as well. I bought some cheap trash cans from Target and covered them with wrapping paper and labeled each lid with glass, plastic and paper. The bins are cute and little and are about to undergo a makeover since my cat enjoys playing with the labeled tops, thus I end up with a bin labeled P PER. What? 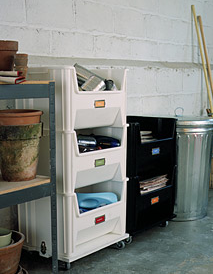 Martha Stewart has some cute DIY recycling bin ideas as well, like this one. Lastly (and yes, least) it is Jelly Bean Day! Perfect timing for this time of year as well since jelly beans grace Easter baskets frequently. I'm pretty sure my mom has a bowl of Starburst jelly beans somewhere in the kitchen. 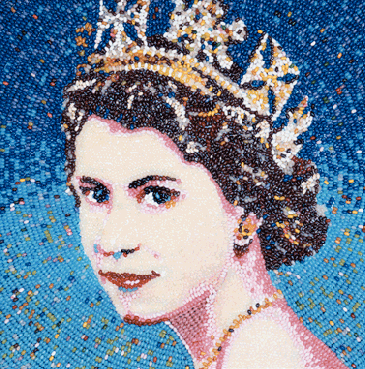 Visit Jelly Belly for some jelly bean fun today, particularly the jelly bean art. Happy Belated Birthday, Queen Mum. Image from Jelly Belly website.